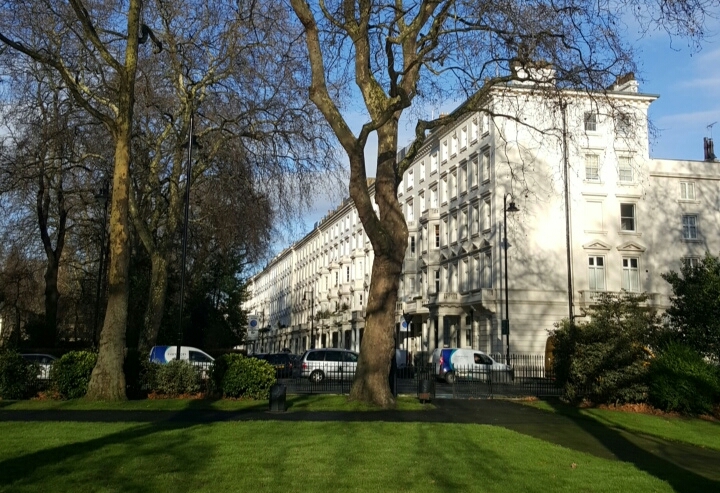 Situated by the River Thames at the southern end of St George’s Square, and rather like a continuation of it, Pimlico Gardens is a small riverside park. It was planted in 1915 with trees, lawn and benches, and has bedding displays and a drinking fountain. 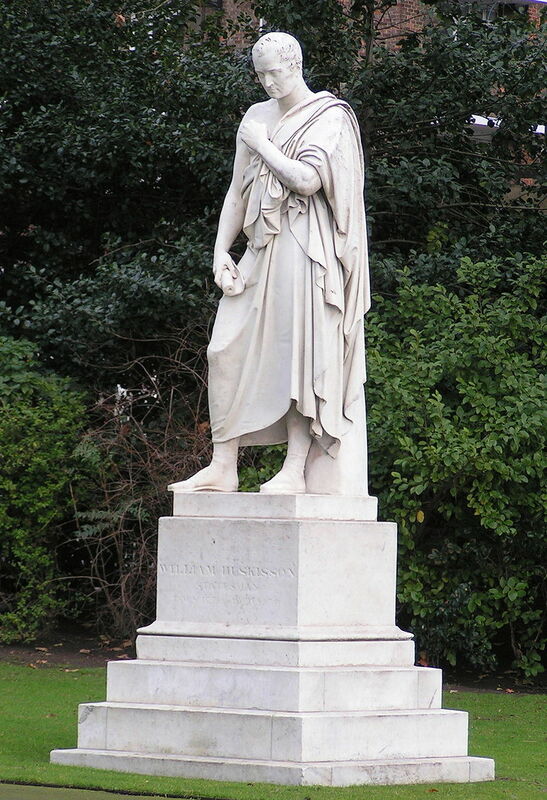 Within the garden are a number of sculptures, notably John Gibson’s marble statue built in 1836 of William Huskisson MP, the first ever railway fatality. 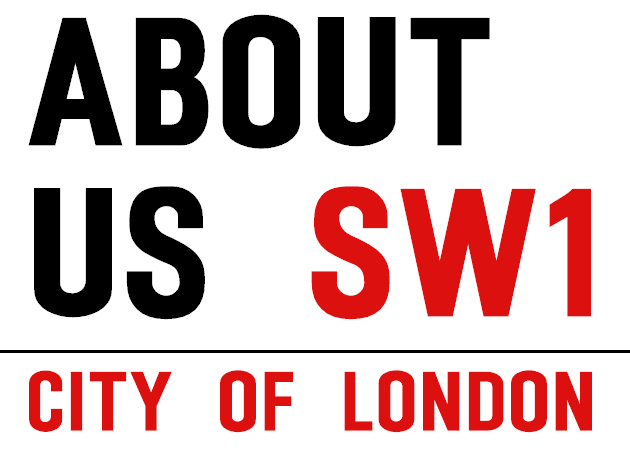 The statue was originally intended for Liverpool Customs House, for which it proved too large and it was subsequently erected at the Royal Exchange in the City of London, and eventually moved to Pimlico Gardens 1915. The statue was described by Sir Osbert Sitwell as “boredom rising from the bath”. 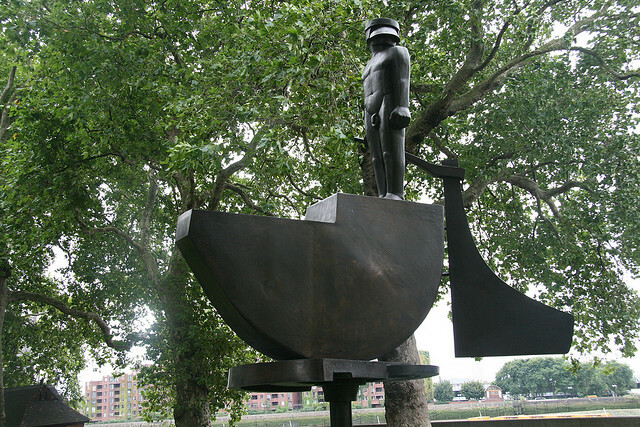 ‘The Helmsman’, is a bronze statue by Andre Wallace designed more recently in 1996. 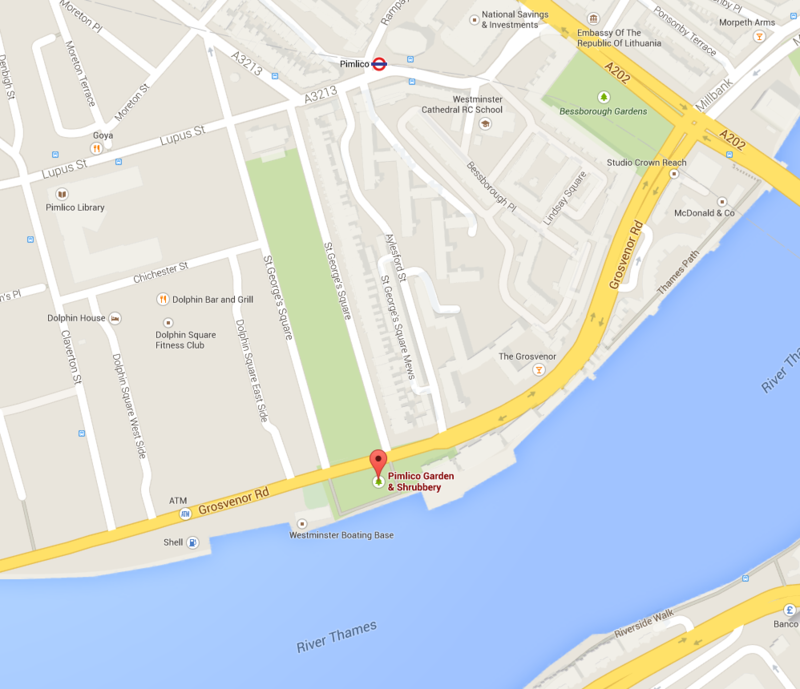 Adjacent to the gardens is the London Boating Base.